The Canadian Mixed Curling Championship begins this Saturday at the Burlington Golf and Country Club in Burlington, Ontario. Twelve teams, representing the 10 provinces, plus Northern Ontario and Yukon/Northwest Territories, will contest the 47th edition of The Mixed from November 14-21. The teams play a round robin, concluding Friday morning, after which the first place team advances directly to Saturday’s final, while the second and third place teams meet in a semi-final. Ontario has won The Mixed twice since the championship began in 1964 in Toronto – in 1986 by skip Dave Van Dine in Kamloops and by skip John Epping at the 2006 edition in Whitehorse. Alberta leads all provinces with nine wins, while Manitoba and Saskatchewan are next with eight victories each. This year, the host province is represented by skip Mark Bice and his Sarnia Golf and Curling Club team of Leslie Bishop, Codey Maus and Courtney Davies. Bice and Maus are former provincial junior champions. Topping the field this year is Nova Scotia, skipped by 2004 Brier winner Mark Dacey, along with his wife, Heather Smith-Dacey, at third, second Andrew Gibson and lead Jill Mouzar. The Daceys teamed to win the 2002 Mixed in Halifax, while Gibson played lead for Dacey on the Brier-winning team and bronze medal winners at the Ford Worlds in Sweden that year. Mouzar (2004) and Smith-Dacey (1991) are also former Canadian junior champions, while Smith-Dacey won her first Mixed title as third for New Brunswick’s Grant Odishaw in 1994 in Leduc, Alberta. Mouzar also skipped Nova Scotia at the 2007 Scotties. Other skips include former provincial junior champions Jason Montgomery of Duncan, British Columbia, Matt Blandford of St. John’s, Newfoundland and Labrador, Prince Edward Island’s Kyle Stevenson of Charlottetown and New Brunswick’s Mary Jane McGuire of Fredericton, who will attempt to become just the second female skip to win the Mixed. Alberta’s Shannon Kleibrink became the first to do so in 2004 in Schumacher, Ontario. The roster also includes Quebec second William Dion, who skipped his province to victory at the 2008 M&M Meat Shops Canadian Juniors in Sault Ste. Marie, then earned a bronze medal at the World Juniors in Östersund, Sweden, New Brunswick third Jérémy Mallais and Northern Ontario third Tracy Horgan, both former provincial junior champion skips, former Brier and Mixed competitor Wade Scoffin of Whitehorse, who will skip the Yukon/Northwest Territories team and Alberta’s Karen Powell, a former Scotties and Mixed participant who will skip her province but throw third stones. Saskatchewan’s Lana Vey, the lead for Stefanie Lawton’s Tim Hortons Canadian Curling Trials-bound team next month in Edmonton, will play third for another former provincial junior champion, Jason Ackerman, as she replaces Amber Holland, who is skipping her team this week at the Pre-Trials Road to the Roar in Prince George. In addition to the Canadian title, two players from the winning team will also represent Canada at the 2010 World Mixed Doubles Championship, slated for April 16-24, 2010 in Chelyabinsk, Russia. The 2010 Canadian Mixed, which is being presented by The Dominion, Youngs Insurance Brokers, Carstar Automotive Canada Inc. and Mohawk College of Applied Arts and Technology will receive extensive local and area television coverage. 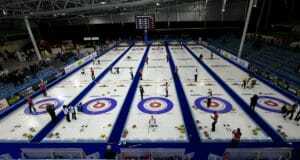 Cogeco Cable will televise the evening draw throughout the round robin, on a tape-delayed basis, starting at 8:00 pm ET, then air the semi-final and final. Up to the minute draw results will be available at the Canadian Curling Association’s website (www.seasonofchampions.ca/2010Mixed <http://www.seasonofchampions.ca/2010Mixed> ). Last year, The Mixed, which was won by Manitoba’s Sean Grassie, was held in Iqaluit, Nunavut, the first time the Territory had staged a national sport championship. For tickets (event passes are only $35.00), please contact Helen Martin, at [email protected] or call 905-522-4613. The opening draw is at 6:00 pm ET on Saturday, November 14, followed by three draws daily during the round robin at 9:00 am, 1:30 pm and 6:00 pm. The final draw of the round robin takes place Friday, November 13 at 9:00 am, followed by any required tiebreakers and a semi-final, leading to Saturday’s 1:30 pm final. 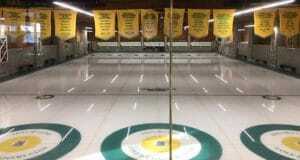 The Burlington Golf and Country Club, located at 422 North Shore Boulevard East in Burlington, is celebrating 50 years of curling this season while hosting its first national championship. Previous: Welcome to the BC Bound Blog by Paul Webster!